“Veil piercing” is an equitable remedy that allows a plaintiff with a claim against an entity to obtain relief from the entity’s owners, in spite of laws providing for limited liability. When the owners provide personal guarantees or otherwise contract around liability protections, or when the owners are sued in their own right based on their own conduct, it is not necessary to pierce a veil of limited liability. True veil piercing – where the owners are asked to stand in for acts of the entity – is an extraordinary remedy to be reserved for the most extreme cases. Courts generally have reviewed several factors, with varying degrees of emphasis, when determining whether to pierce the veil of a corporation. These have included the existence of fraud, adherence to “corporate formalities” such as holding and documenting meetings, the level of capitalization, whether a dominant stockholder siphoned funds from the corporation, and whether investors are so active in the management of the corporation that the corporation is their “alter ego” or “instrumentality.” Fraud may, depending on the circumstances, provide an independent basis for the liability of stockholders and others on the grounds that individuals are being found liable based on their own conduct. Other factors supporting veil piercing also often stand in as proxies for fraud, or reasons to suspect fraudulent behavior. As has become increasingly clear, Delaware “alternative entities” such as limited partnerships and limited liability companies are not the same thing as corporations. While many of the same fiduciary principles applicable to corporate fiduciaries may apply under certain circumstances to the fiduciaries of an alternative entity, courts must remain sensitive to distinctions in entity law. In the context of veil piercing, these distinctions suggest that a Delaware LLC should not be subject to true veil piercing at all, as opposed to the imposition of liability under standard concepts of fraud, fraudulent conveyance, etc. ; and that assuming the LLC’s veil may be pierced, any piercing should be subject to different standards than those applicable to piercing the corporate veil. Section 102(b)(6) of the Delaware General Corporation Law (“DGCL”) states that a certificate of incorporation “may” contain “[a] provision imposing personal liability for the debts of the corporation on its stockholders to a specified extent and upon specified conditions; otherwise, the stockholders of a corporation shall not be personally liable for the payment of the corporation’s debts except as they may be liable by reason of their own conduct or acts.” 8 Del. C. § 102(b)(6). Thus, under the DGCL, the default rule is that stockholders are not personally liable for corporate debts based on their ownership of stock, but may be liable as a result of their own conduct, and may also agree in the charter to be liable to a specified extent and upon specified conditions. The Delaware Supreme Court recently held that the plain language of an employment agreement and an LLC agreement prevented an LLC from interjecting a fraudulent inducement defense into a summary proceeding for the advancement of litigation expenses under Section 18-108 of the Delaware LLC Act. Under those circumstances, the Court explained, allowing the LLC to interpose a defense of fraudulent inducement would be inconsistent with the contractual language, would defeat the purpose of a statutory advancement proceeding by inserting a “plenary claim” into what the Court noted should be a summary proceeding, and would impair the public policy interests served by contractual advancement provisions. 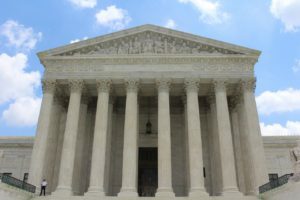 In dicta, the Court also noted that equity supported its ruling because the LLC had employed the executive for 16 months and then sued him under the same contract that it claimed was invalid.